1. 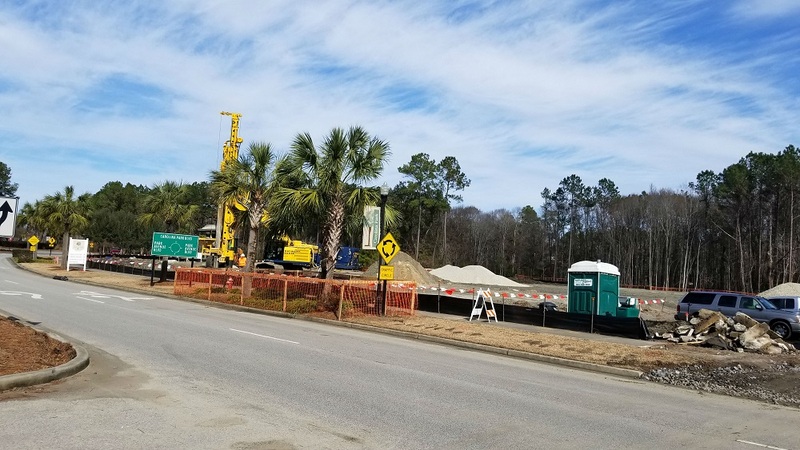 40,000 sq ft Charleston County Library site work started near Wando High School. 2. 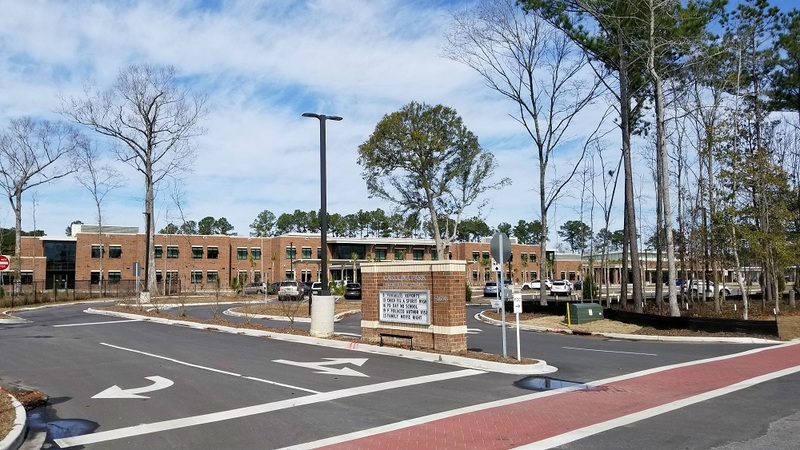 Carolina Park Elementary School - Opened Fall 2017 . Grades K-5. 3. 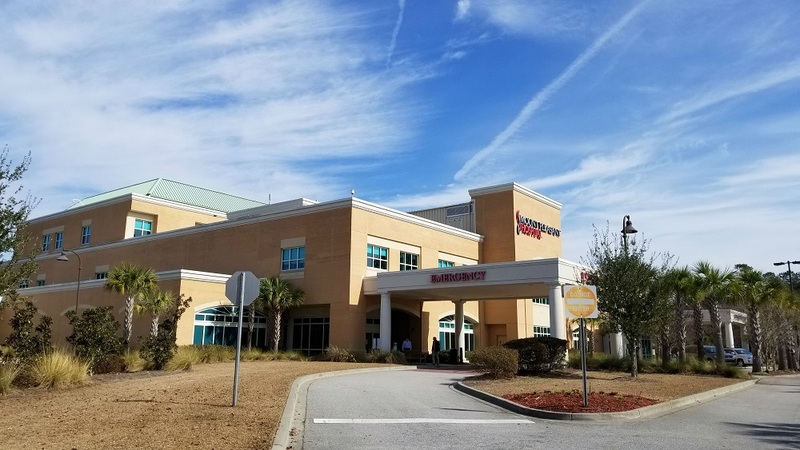 Mount Pleasant Hospital was one of the early commercial developments in the Carolina Park area and is part of the Roper St Francis HeathlCare alliance. 88-Bed hospital with 24-hr ER services. 4. 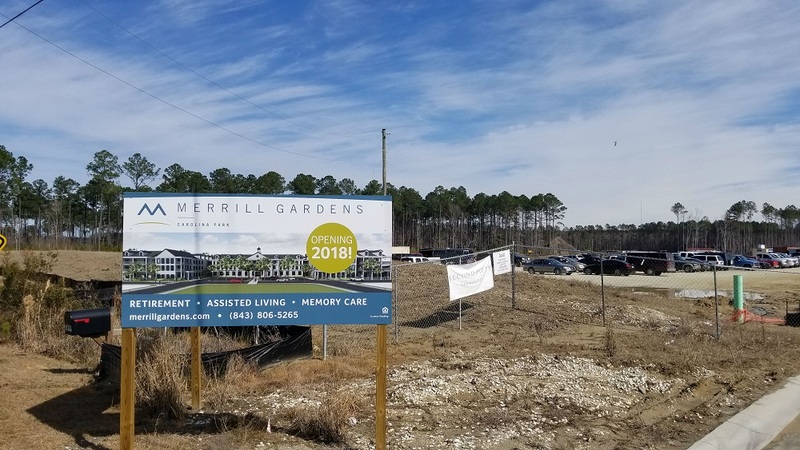 Merrill Gardens, a Retirement - Assisted Living - Memory Care complex, is under construction off Carolina Park Blvd. and Faison Rd. Merrill Gardens is slated to open in 2018 with 130 apartments and 12 stand-alone cottages. Family owned company started in Seattle, Washington. 5. Mount Pleasant Active Park is a 54-acre site in the Carolina Park area. Contains 4 lighted multi-purpose fields. Improvements and expansion are underway.